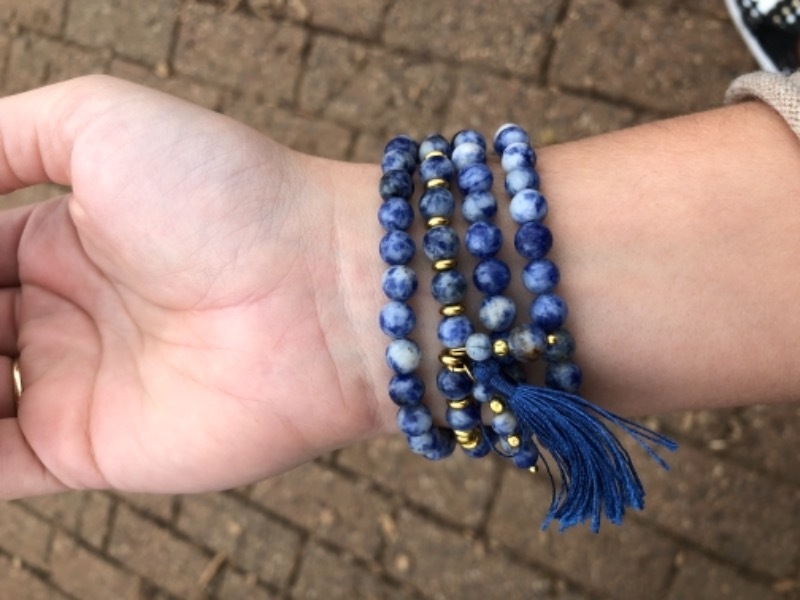 Our Kamya bracelet features a gorgeous selection of sodalite and a hand-made alloy palm bead. This stone is all about stimulation. It provides perceptiveness, awakens your talents and looks great. The item is a little thin so I'm afraid of breaking it all the time,but it is absolutely GORGEOUS.i wear it when I meditate as well as draw.Im an artist of 16 years and when I have this around my wrist I can feel the energy and I feel like I could focus more and I don't have that anxiety of messing up.Absolutely love,I just wish the band was a little thicker so I don't feel like it's gonna break all the time. Nice bracelet, wee bit snug. 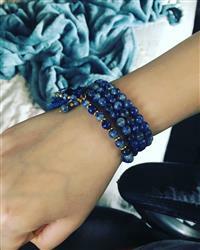 Beads smalller than expected, but very nice overall.